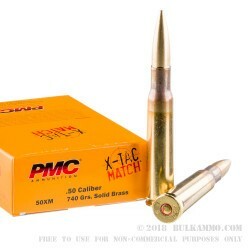 PMC X-TAC Match .50 BMG ammo is of the utmost quality for long-range perfectionists like yourself. 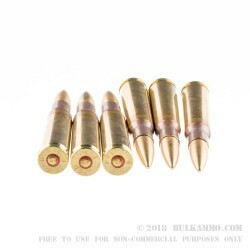 The bullet is composed of solid brass and weighs 740 grains made by Sierra Bullets. This round has a muzzle velocity of 2830 feet per second and a ballistic coefficient of .909. If you're in it to win it, use PMC X-TAC Match. PMC Ammunition is part of the Poongsan Corporation and is the primary ammunition manufacturer for the Korean Army. 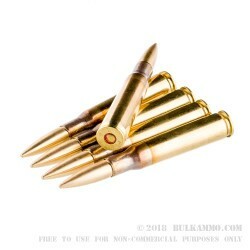 The commercial ammunition division, PMC, stands for Precision Made Cartridges. Poonsong Corporation's contains the brass mill that produces the brass strip used for cartridge cups and casings.